How to use filters in JSP and Servlets for logging information in ServletContext logs ? A simple web application demonstrating the usage of filters in JSP and Servlets. 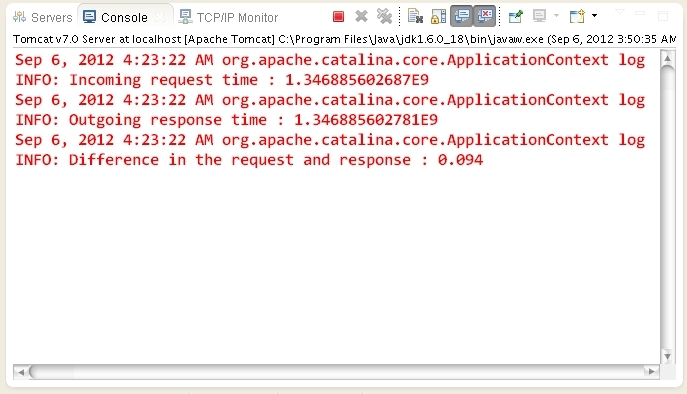 This application uses a LoggingTimeFilter for logging the time of incoming request and outgoing response in ServletContext's log . This information gets printed on the Server's log displayed on the console. context.log("Difference in the request and response : "
Video tutorial to demonstrate @WebFilter annotation.